Today, this feeling of timelessness doesn’t last all the way to the golf club, which is at the entrance of the town’s commercial port. Sadly, from an aesthetics point of view, you have to pass enormous tanks to reach the car park and clubhouse. But it is of little consequence. Once you walk up the ramp and around the clubhouse all is forgotten, because Silloth on Solway Golf Club is golfing heaven. This stretch of coastline has few courses of such quality and I suspect it is too far away from the key golfing centres (Liverpool to the south, and the entire country of Scotland to the north) to make it a must-visit destination – which is a shame, because that’s exactly what it is. The designers of Silloth on Solway left quite the legacy but, in terms of shaping the course, Mother Nature had the greatest say. Once the direction of the holes had been established the landscape took over because the roll of the land is nothing short of mesmerising. 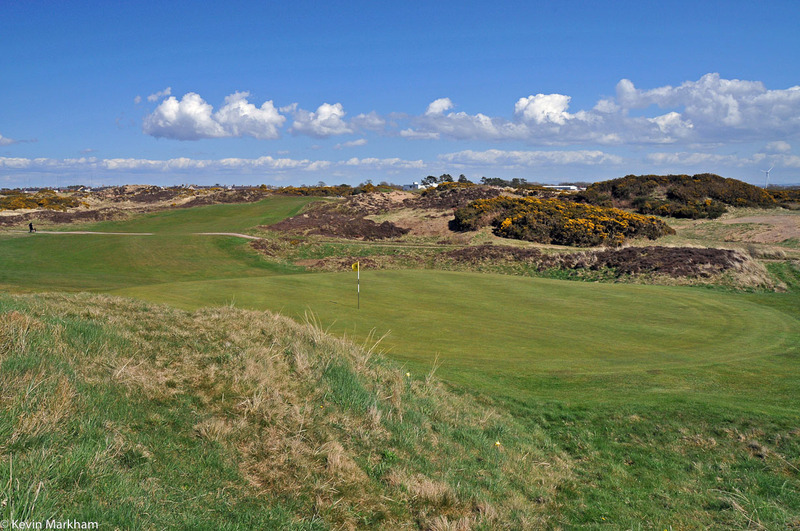 The unexpected humps and hollows, the natural green complexes that mould with the land, the bucking fairways – it all adds up to links heaven. Who designed it, you ask. From the 1890s to the 1920s the list of great golfers who visited reads like a Who’s Who of golf, including Harry Vardon and James Braid. The original blueprint, however, was laid down by Davy Grant, a leading Scottish golfer of his day. The par four 3rd and one of the best holes on the course. A dogleg left. 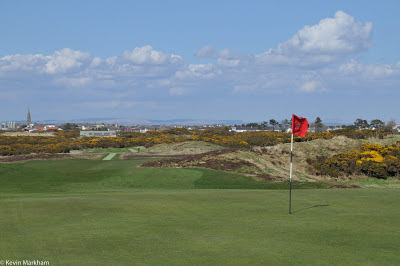 The same 3rd hole, taken from behind the green and back towards the tee. 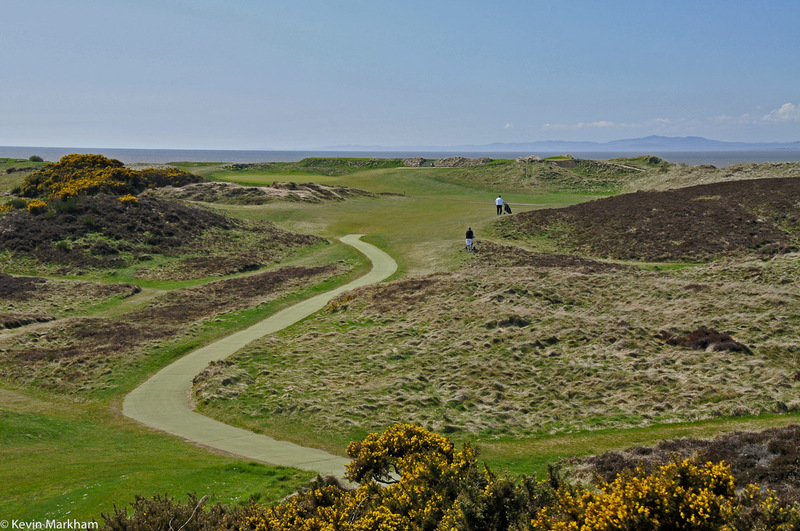 In the modern age of machines, when moving, reshaping or simply creating dunes at will, Silloth’s natural feel is to be cherished. Two greens (the 1st and 7th) are below sharp ridges and are invisible from the fairway; other holes have hollows that sweep the ball away into heather and gorse. Even a madcap designer wouldn’t introduce such things. Why change the brilliance that time has created for you! Essentially, Silloth is an out-and-back affair, with each nine having a single flick running against the grain (the 4th and the 13th). The homeward nine are away from the sea, but with the rises and falls, the water is rarely out of sight. It is the constant rolls to the land that create a rhythm which draws you into Silloth’s embrace. It is not long (Par 72, 6,408 yards, White Tees) and apart from the dogleg 3rd it is straight and true, but course management is key, especially coming in to greens. 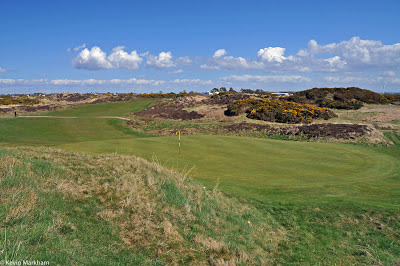 If you are adept at bump and run, then Silloth will play into your hands, for the exposed location (there are views in every direction) will surely throw a stiff wind into your face as you head along the coastline for those opening holes. 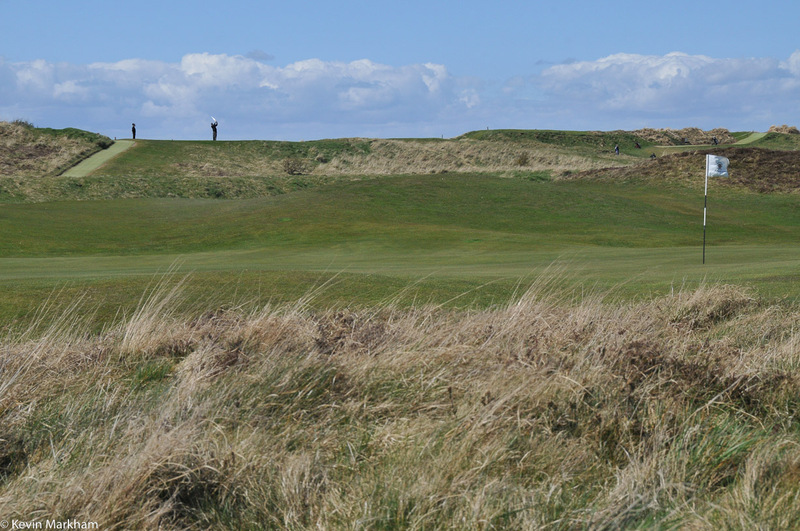 The 13th, running in the same direction, is a par five of 468 yards (whites), yet it is Index 1. The next hole is four yards longer and also a par five, but in the opposite direction. It is Index 17. That should tell you all you need to know. The 13th - a par five over a rumbling fairway and climbing to the green. For those who think they can overcome a course with brute force, believe me, Silloth will chew you up – there is enough gorse to give the wayward a very uncomfortable time of it. It’ll put manners on you, that’s for sure. It’s no surprise that bunkering plays a key role in this short course’s defences, but the wind will always be the biggest threat as you target small, tight greens. Confident shots to the heart of each is the only guarantee that the ball won’t slide away, leaving awkward chips back. Like a dog that senses fear in a human, so Silloth will sniff out your weaknesses and exploit them. This is no place to be meek. It’s about strategic play, hitting at what you can see and playing safe when you can’t. 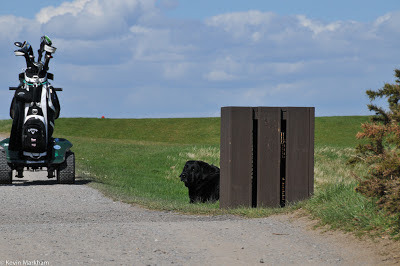 You may even encounter some dogs on the course – I chanced upon four in all, including this obedient lad – which is not something you see on Irish golf courses anymore. When you walk off the 18th green you will have no complaints, no matter how you have played. 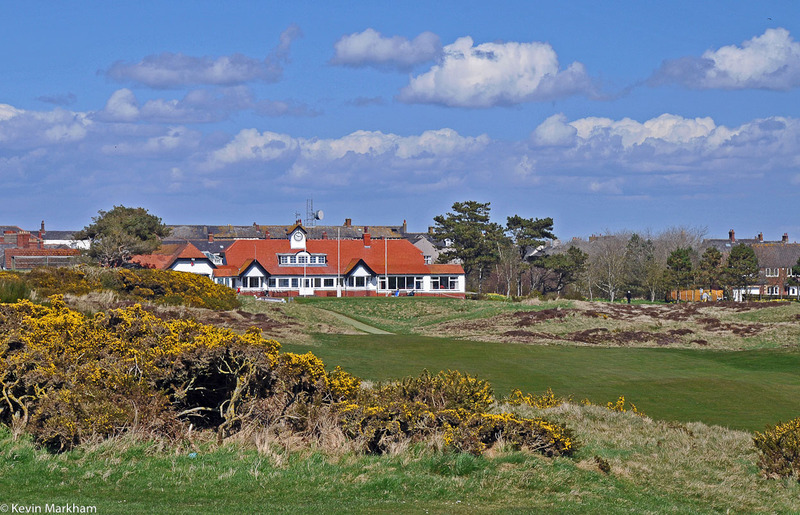 Even the clubhouse has the perfect air to match the occasion, having been built in 1903 and promising both charm and history. There really is a feeling that you’ve stepped back in time at Silloth… something that extends to the green fees, too. 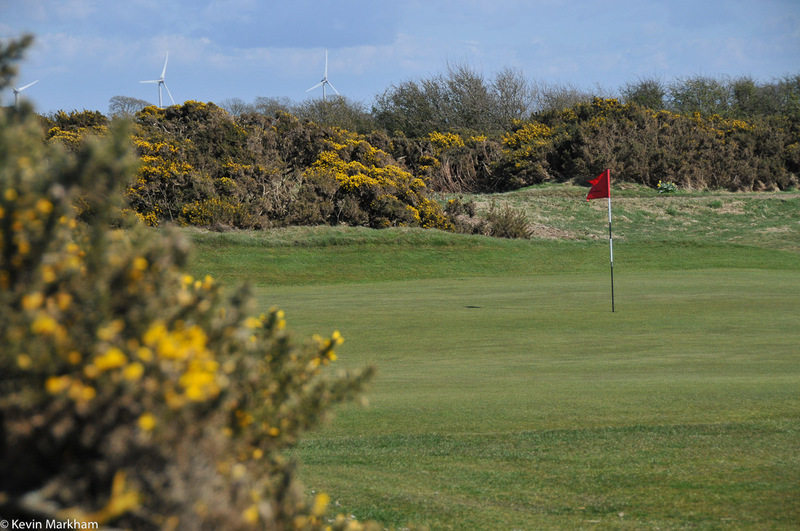 Green fees start at – wait for it – £28 for the DAY, during the winter, but even at its most expensive – summer weekends – it’s only £56 per round. 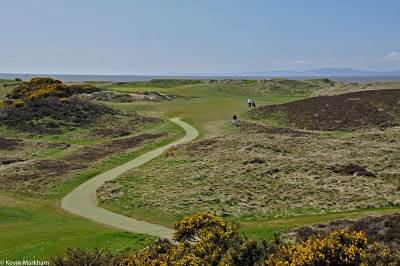 Silloth-on-Solway has been voted Number 1 in Today’s Golfers Top 100 Courses under £60 in Britain and Ireland. When you play here you’ll have no hesitation in agreeing with their assessment. For a full set of photos, click here.